Every public sector organization strives to stretch its taxpayers’ dollars, and Marion County, Iowa is no exception. As its unified communications system approached the end of its useful life, the Marion County IT department searched for ways to decrease costs while introducing modern features like voicemail-to-email integration and short-digit interoffice dialing to its approximately 200 county employees. In recent decades, one particularly irksome problem had developed: country departments, even some located in the same building, had over time acquired a grab-bag of different phone systems, resulting in a hodge-podge of technology silos that did not integrate well together. For example, if someone called the courthouse but needed the treasurer’s office, there was no way to transfer the caller. Marion County knew that it needed true unified communications if it wanted to increase interoffice communication and better serve the citizenry. At the same time, the IT team wanted to mindfully keep a lid on operational and maintenance demands. On the budget side, the County also wanted to choose a platform that would allow it to get the largest “bang-for-the-buck” for its taxpayers’ dollars. Lastly, it was important to put in a system that would continue to meet the County’s needs well into the future. For that, Marion County chose the Avaya IP Office Platform. At the outset, IT Director Andrew DeHaan was tasked with spending taxpayer funds prudently while, still finding an effective solution for the county. Because the unified communications system upgrade would occur in parallel with a network infrastructure upgrade, Marion County searched for a Voice over IP (VoIP) system to take full advantage of SIP. The team designed the new network to replace CAT cabling that literally crumbled when the ground shook during construction projects, then started taking bids for the infrastructure upgrade and unified communications system. While several solutions were presented by different vendors, Marion County ultimately chose Avaya IP Office. Avaya IP Office includes the features Marion County wanted to introduce, including voicemail, conferencing, and voicemail-to-email features. The call recording functions would be useful for the county attorney’s office and having all the county’s phones on one system would make call transferring as simple as pressing a button – and remove the need for a costly third-party solution to bridge the gap between locations. Additionally, introducing twinning and mobility to county officials, particularly those that travel between locations, was an attractive bonus. While other solutions had some similar features, Avaya IP Office stood out due to how easy it would be to manage the system. “It was very clear to us that the management interface had a mature feel to it, and you could tell that a lot of thought had gone into the design of the interface,” DeHaan recalls. 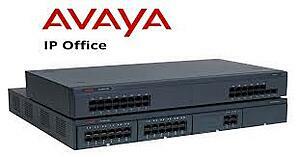 The other appeal came from the popularity of Avaya IP Office among area resellers. While DeHaan and the team have no plans to change resellers, should they need to, plenty of vendors within a 30-mile radius support Avaya products. “The proliferation among the industry was a big differentiator because we could find any number of vendors to support us if we ran into problems,” DeHaan notes. Users noticed improvements in functionality immediately. Right away, the county attorney’s office appreciated the voicemail-to-email capabilities, as well as call recording. All departments were pleased with voicemail, something that the old system did not support for everyone, as well as how easy it was to manage the auto attendant and call transfers. Now, instead of making constituents hang up and dial again, county employees easily can transfer callers to the correct department. Additionally, Avaya IP Office has allowed Marion County to refine its auto attendants. An internet search will turn up which number is listed for a department, such as the assessor’s office. If the listed number isn’t correct, the IT team can tailor the auto attendant to route the caller to the correct department. Marion County’s IT team also added a feature to bring peace of mind and improve safety for county employees: a panic button on every phone. Previously, a legacy radio-based panic system would alert dispatch at the sheriff’s office, and dispatch would have to radio to the on-premise security guard. However, it was difficult to pinpoint which panic button had been hit. In a county office where disgruntled constituents may become agitated over an issue they feel strongly about, individual panic buttons that alert the sheriff to the exact location of the disruption and allow the sheriff’s office to listen in can improve response time and minimize the likelihood of a situation spiraling out of control. Additionally, eliminating the radio-based system, which required frequent maintenance, has improved productivity and decreased costs for the IT team. In addition to eliminating costly systems that required significant maintenance, Marion County has seen a dramatic decrease in telecommunications costs due to Avaya IP Office. The previous system cost at least $2,500 per month for telephone service alone. Now, after switching to SIP and a VoIP system, Marion County spends less than $800 per month – a 68 percent savings. “The telecommunications system paid for itself in a little over a year,” DeHaan says. Marion County continues to reap benefits from Avaya IP Office. In one instance, the emergency phone in one elevator was receiving calls from a fax machine. Using the tools in Avaya IP Office, the team could identify the phone number and block it. Avaya IP Office also helps the IT team schedule its maintenance windows. For example, when working with the sheriff’s department, it needed to identify the slowest times of day for calls. The tools in the solution, including call tracking, help them find time that will cause minimal disruption to departments.